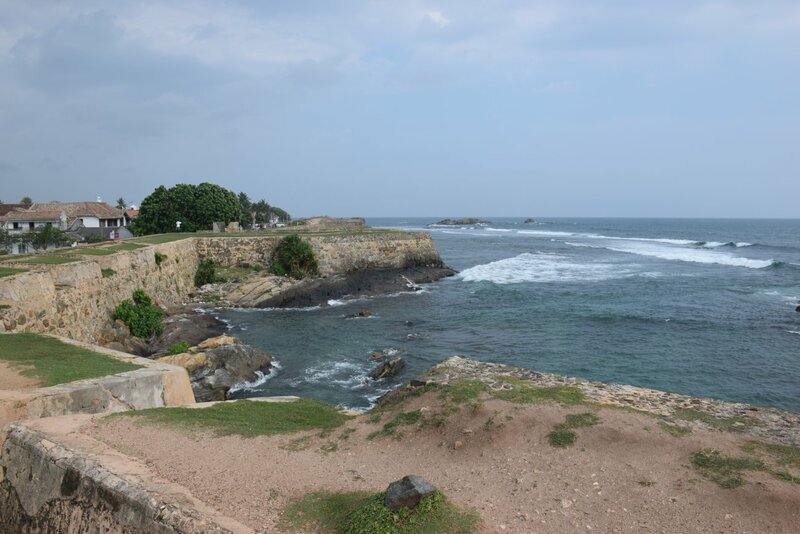 Well folks, the trip has but a few days to run now, I’m here in Galle in Sri Lanka’s south. Here is the latest from my last couple of days. Today we said goodbye to the generous family we’d been staying with near Colombo. Just how generous? 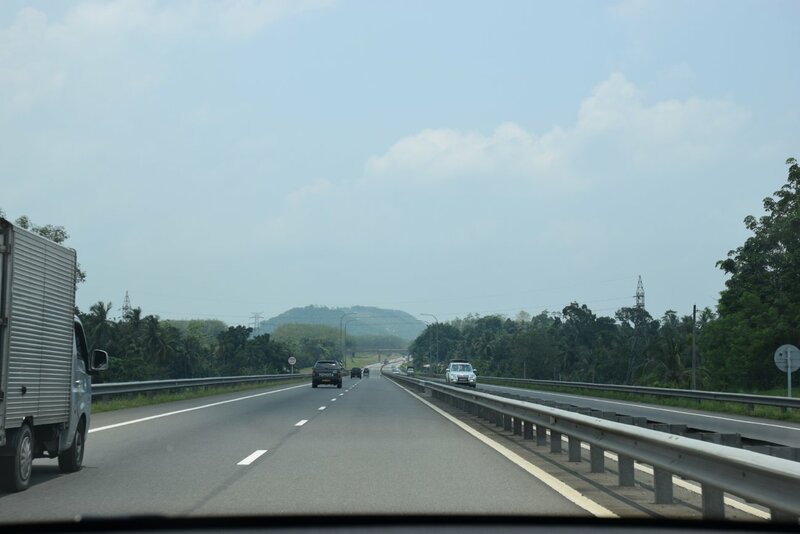 Well, the father said he would drive us all the way to Galle! We tried to say ‘no’, but he insisted, and insisted that it would take almost as much time to get to the bus station in Colombo as it would to drive the whole distance. The drive was good actually. The expressway was two lanes each direction and because it was tolled there was not much traffic on it at all. However, with a stop for lunch, it took the best part of three hours. I think they liked the outing. My wife and I still had time though in the day to take a walk around the fort walls here. The fort was built both by the Portuguese and Dutch in their respective colonial periods (pre-British). 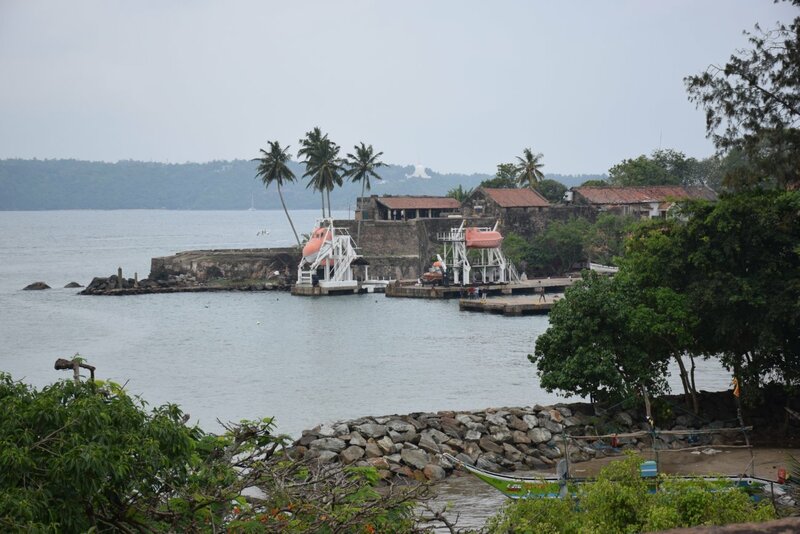 Galle is actually a very attractive place, and inside the large fort-walls is the tourist area. It makes it quite unique actually – this area is simply for the3 foreigners. So, much cheaper outside the fort walls. The walk one the walls is not possible for the full circuit, the walls disappear at one small point, nevertheless it’s a great walk. You get a good view over the Galle Cricket Ground too which is especially picturesque. Today we explored a bit of Galle. Walked around other areas of the wall and saw the lighthouse which is still in operation today. 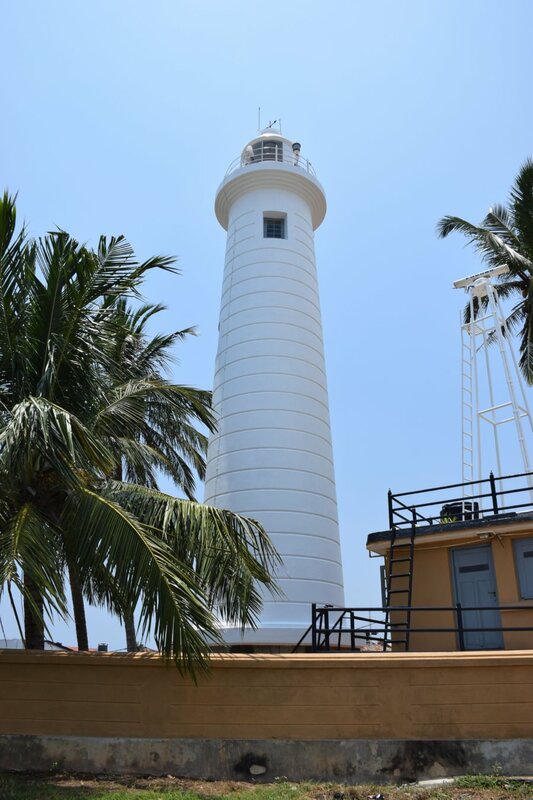 The Maritime Archaeological Museum is considered the best museum in Galle, and we visited it. Has a few boats in there and is houses in a building that is an extension of the fort. 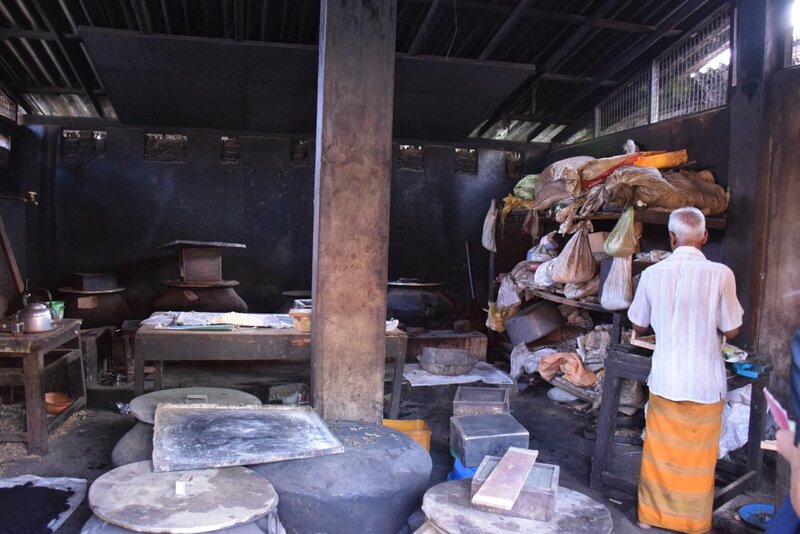 After that we headed into the ‘real’ Galle – the part the tourists generally don’t spend much time in. My wife wanted to visit a pharmacy for Ayurveda Medicine, I tagged along for the ride. It was this amazing old house that stretched back and back, much bigger than you’d think. Filled with potions and herbs, not to mention giant cauldrons all still in use. It was actually pretty special. We organised train tickets back to Colombo for our last day, and a few more ‘errands’ before we headed back to the ol’ guesthouse. Early to bed because the 5th required a very early morning. Indeed. Today it was up at around 4am. Yes, 4am. 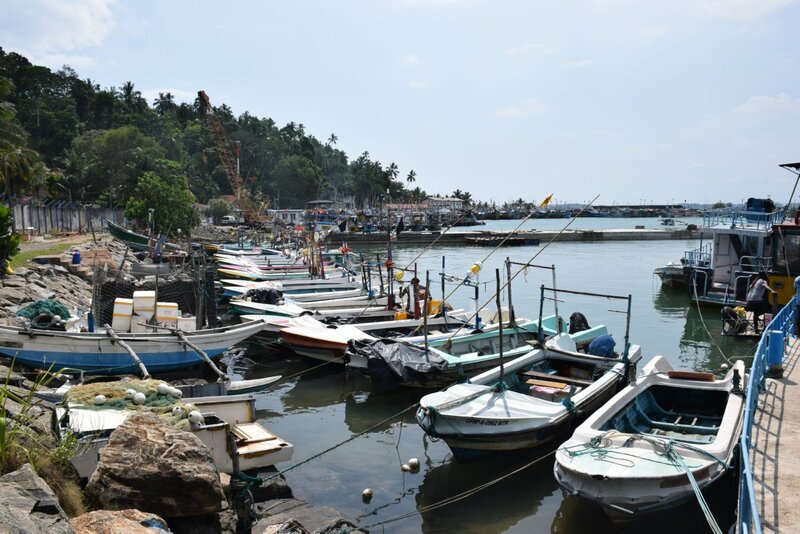 We had organised an auto-rickshaw to take us to Mirissa, a town an hour away on the coast where many Whale Watching trips leave from every day. We chose to go with ‘Raja and the Whales’, they seemed to have a good reputation and frankly, there didn’t seem to be a lot of difference between the operators. We had to check in by 6am, the boat was due to leave at 630am however we got away slightly earlier. They fed us well on the boat, the whales and the Indian Ocean seemed to be almost secondary to the feeding. A big platter of fruit for everyone to start with. Once we’d been going an hour a pep talk on whales and then breakfast, sausages, bread and a couple of eggs each. We saw some dolphins, briefly on the way out. 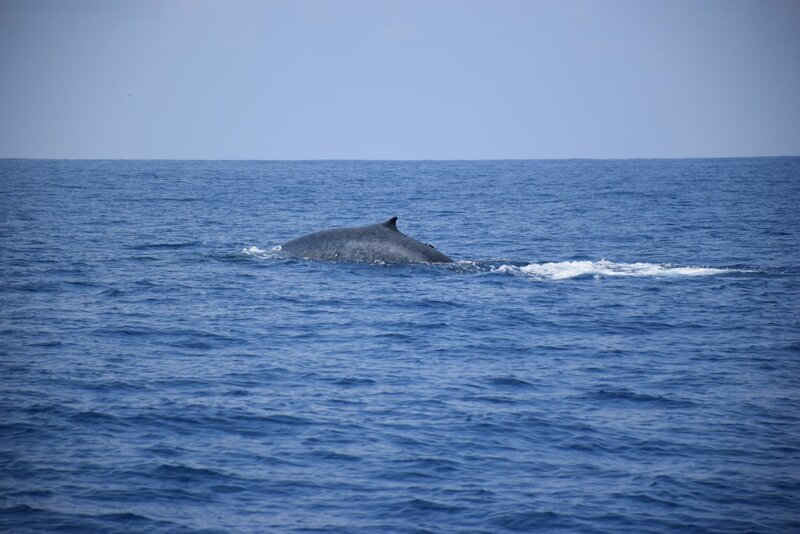 It was at about 930am that we saw our first Blue Whale. National Geographic tells me that Blue Whales are the largest animal to have ever lived on Earth. So how’s that? And over the next few hours we saw four. It dragged on a bit, the staff had to keep eagle eyes out for the whales – they sent us photos later in the evening, but these are strictly my pics on the blog today. They also gave us lunch, more fruit and cake. Back to Mirissa by 2pm. So nearly 8 hours in that boat! But worth it. yes we’re down south and there are apparently loads of wrecks not that far from the coast. thanks for popping by!